I have three different do-it-yourselves goin' on. GLITTER nation. My mission is to glitter some letters (my monogram bRe) for mi casa, as well as glitter dipping some mason jars. I also grabbed a few feathers at the craft store to dip in glitter as well, because one can never have too much sparkle in their life. 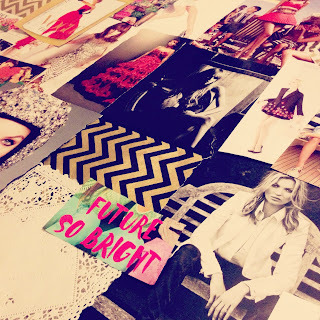 Inspiration Board. Before Pinterest was a thing, peeps got their inspiration from magazines, prints, photographs, or just anything that came along the way. I have been working on making a board with things that inspire me. I have pulled some looks from magazines, quotes, pretty prints, and just anything that catches me eye. Makin' prints from Paper Source! 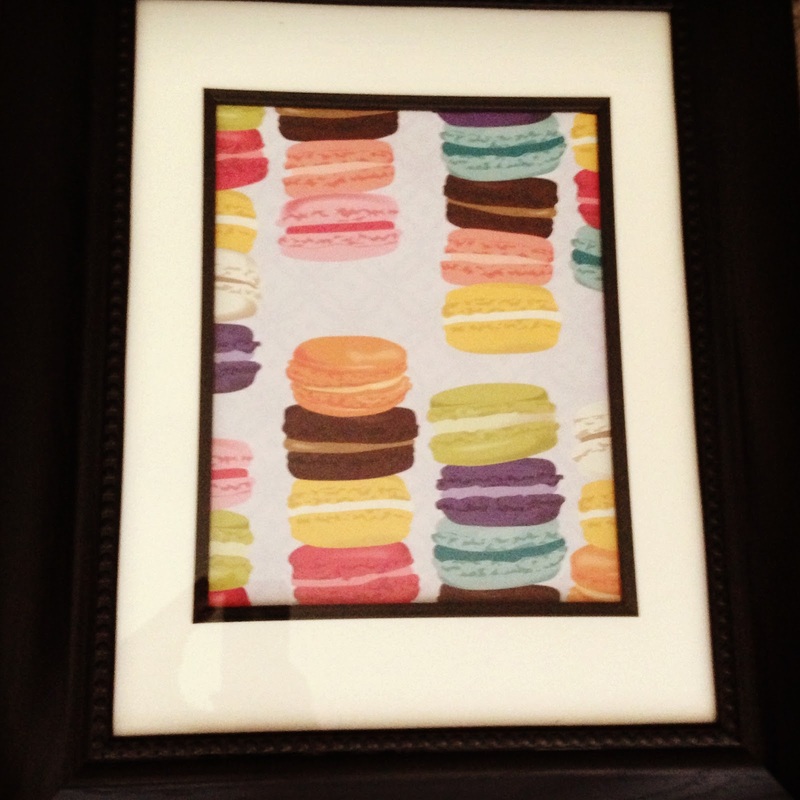 I always find cute prints that I want on pinterest or etsy, but never want to spend the money to get them! So I decided to buy paper that I love from Paper Source (they have the BEST prints, for only a couple bucks) and frame them. I have made a few with chevron prints, as well as a boho print. 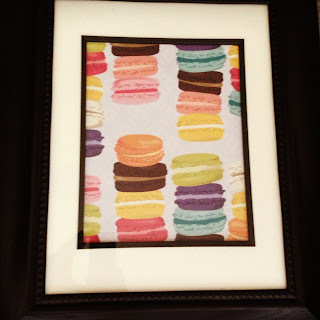 My latest one is filled with my current obsession, macarons. Frames are all from Michael's. 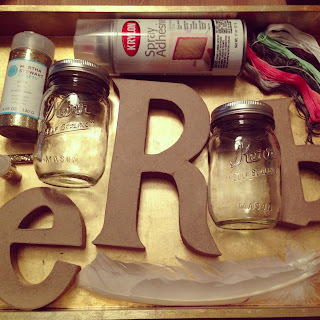 Such an easy & cute way to make your apartment more colorful!